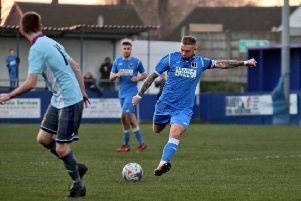 Alex Norwood applauded Padiham’s performance against City of Liverpool but was dissapointed that the Storks had nothing to show for their efforts. The first team coach was impressed with the manner that his players fought tooth and nail against the unbeaten Hallmark Security Premier Division leaders and sympathised with them as they lost out narrowly at the Ruby Civil Arena. 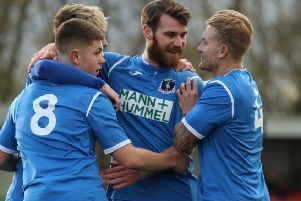 The home side gave everything they had against the Merseysiders, and almost found the breakthrough in the second half courtesy of Liam O’Neill, but ultimately they lost out to Joseph Holt’s 77th minute strike. “We’d seen them play before so we knew what they were about,” said Norwood. “We knew we probably weren’t going to be able to play our football, it was more a case of trying to be solid and compact. “It worked well for a while and they didn’t really create many chances. The lads threw their bodies at everything but it was always going to be tough because they put you under so much pressure. With Padiham now without a win in four games in all competitions, Norwood added: “Against teams like that, in games like that, you’ve got to take your opportunities when they come. “At 0-0 we had a golden chance through Liam O’Neill, who had more time than he thought he did. That was our chance and at that point we could have held on for the win. “Unfortunately, they went to the other end and scored. We weren’t beaten through a lack of trying; the lads ran themselves in to the ground. “We were up against experienced players who have done it at a higher level. That told in the end. We can’t fault what our lads did, they nearly pulled it off. “They did everything that we’d asked of them but it was a shame they had nothing to show for it in the end. The Storks travel to Victoria Park to take on Burscough on Saturday with kick-off at 3 p.m.